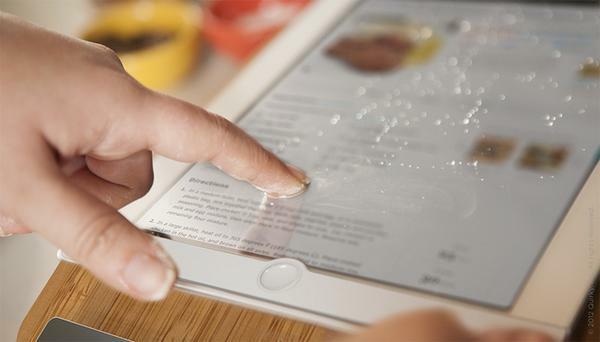 Your mom like cooking various kinds of delicious food according to the cooking app on your iPad? If you worry about getting your iPad dirty, the following Prep Step iPad dock may be a nice solution. 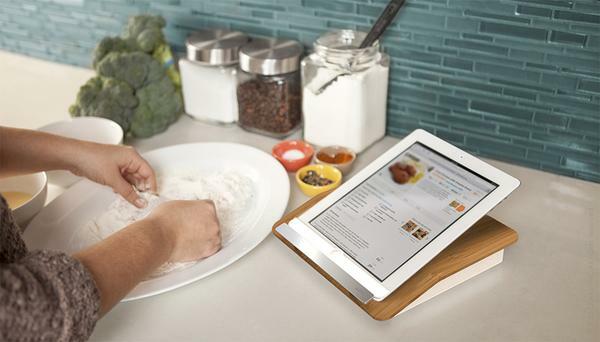 Prep Step is a kitchen-friendly iPad dock that measures 215 x 209 x 38.5mm. 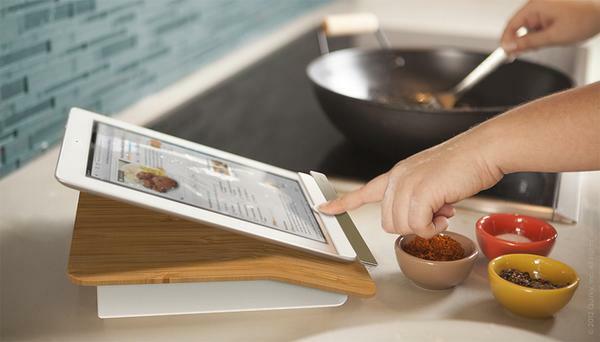 As we can see from the images, the unique iPad dock features a gorgeous bamboo top surface, plus a stainless steel in order to hold your iPad 2, iPad 3 or iPad 4 in landscape or portrait viewing mode with a lower angle so you can cook while watching the recipe on your iPad, while the static-cling, touch sensitive splash guard measuring 238 x 183 x 0.5mm keeps your device safe and sound. Apart from that, the iPad dock also features a practical rear storage compartment for the splash guard and other small accessories, and the rubber overmolded dock pad and feet pads keep the iPad dock securely on your countertop. 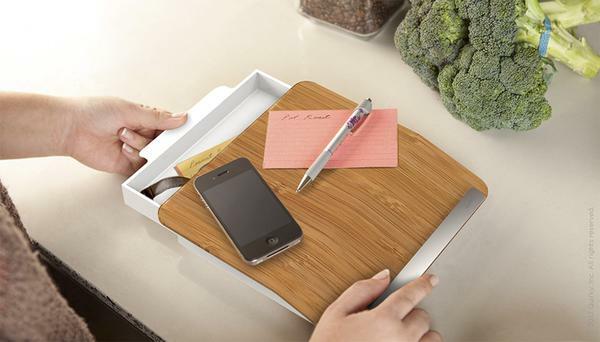 At present, Prep Step iPad dock is earning influence via answering pricing questions at Quirky. If you’re interested, jump to Quirky official site for more details.